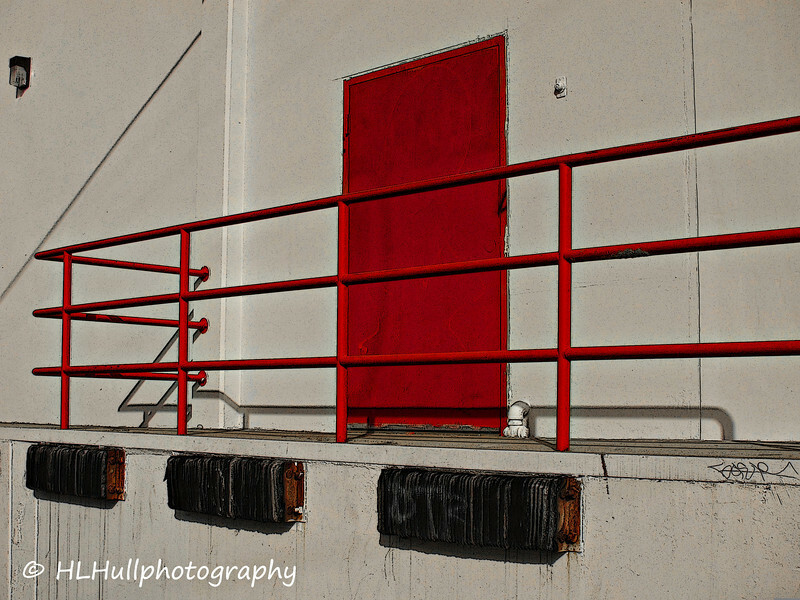 This door, for some reason, reminded me of Jim Lowe's 1956 popular song "Green Door," except of course this door is red, minor detail, right? This door is actually one of the back doors of the local Office Depot. The red against the white with the black "bumpers" really popped out at me on this particular sunny day. From YouTube: "It was a different day and age for sure in 1956. Jim Lowe, a disc jockey by trade and part-time country and novelty tune songwriter enters a Greenwich Village apartment and records a song he has written, "Green Door", and it goes all the way to #1 in September and stays on the charts for an astounding 22 weeks. It took Elvis and "Love Me Tender" to knock "Green Door" from its #1 spot." Stands out real well Howard! Strikingly beautiful and sharp shot. Very nicely seen and caught - great colors and perspective! Well seen, Howard. The lines and red pop certainly do make for an eye catching shot! before my time....not by much though lol....very neat shot howard!